Home » How to save space when packing for a move? So, you have decided to move. Good for you! When moving, you will need a lot of things to go right. This way you can have a stable moving environment without any possibility of failure. Creating a stable moving environment required dedication and experience. If you do not have the experience, this article will give you a heads up about some packing tips. Packing is not easy and it is crucial that you pack your belongings well. You do not want anything to get damaged. If something gets damaged it will create anxiety during the moving process. This is to be avoided at all cost. This often happens when people want to save space when packing for a move. They will usually put a lot of items in one box and the items inside would not be safe. They would damage each other and cause unnecessary complications. The best thing to do is hire professionals. Pro Movers Miami are one of those companies you can put your trust into! In this article, we will walk you through some tips on how to pack efficiently, and how to save space when packing for a move. So, let’s dive in! Getting different sized boxes will make the packing a lot more flexible. Organizing your move is half of the process. When you are prepared, you are much less likely to encounter problems, and if you do they will be anticipated. You will also think of possible solutions and apply them to the process. A great way to be properly organized when moving is to make a to-do list. List everything you need to do and know. This will help you create a stable moving environment. Making another to-do list when trying to save space when packing for a move, is a great way to manage your inventory. You should staple one list to another and keep track of everything happening. Throw some away: if you have something old, like very old clothes that do not fit, or stacks of magazines, throwing it away will make a lot of space and make your move easier. 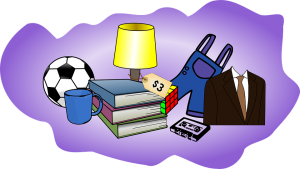 Making a garage sale: If you have stuff that you think could get a decent price when selling, you should do so without hesitation. Making a garage sale will create a lot of space, and earn you some money as well. Make sure you advertise your sale properly and organize it well. If you do not make the proper organization, your garage sale could go awry and not do the job as you expected. Donating: You can donate your extra items to your friends or family. If not, donate them to charity organizations, who are more than willing to take the items you do not need. A garage sale is a great way to declutter your house. The first tip and the most important one is to make an inventory. Making an inventory will ensure that you do not lose or misplace anything. You should divide your inventory list by each box. The contents of each box should be marked and divided by room, or any other way you see fit. If you are dividing by room, mark each box with a sticker of the corresponding color. The other tip is to get different sized boxes. If you only get one box size, let’s say, bigger sized boxes, you will have a hard time filling them up. 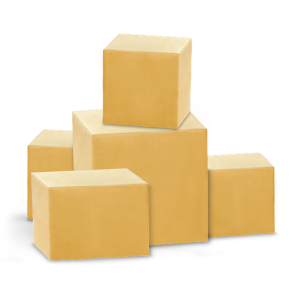 By having smaller boxes, you can pack light, and each box should contain the items that are of one type. For example, you can pack one drawer, in a smaller sized box. This also allows you to “play Tetris” when you are putting the boxes in the moving truck, and save a lot of space by doing so. When you are ready to start putting items in boxes, do so with care. You should wrap each item in the paper, or plastic wrap in order to avoid the items being damaged. 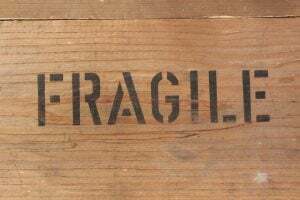 If the item is wrapped well and placed carefully into the box, you will prevent tumbling and possibly damaging it. Heavier items should go to the bottom of the box, and lighter items on top of them. If you have extra space in your boxes, you should put padding, such as old clothes, to fill in the gaps. You can even use foam popcorn, which is small pieces of foam that are used to fill empty gaps while packing boxes. This is maybe your best bet. Hiring people who are adept in their line of work can help you immensely. They know what needs to be done and what should go where. If you live in Florida consider hiring professional packers in Miami, as they can do the job for you, and for a decent price. You will not need to worry about something breaking or being damaged if you hire professionals. They will know how to save space when packing for a move and do it with extreme care. Just be wary of your financial capabilities, as this can impact your budget. Packing has never been easier if these tips are put to good use. Moving should be about starting a new life in a new home, and it should go stress-free. By using these tips and tricks, you will save space when packing for a move, and make the job a lot easier and less expensive.